The Swiss Yvan Bourgnon and the French arctic explorer Sébastien Roubinet started on Wednesday 18 at Ushuaia ARG to a 500 miles' rounding of Cape Horn passing the Cook-Street, around the Cape and back via Beagle-channel to Ushuaia. After three days of nonstop sailing, Yvan and finished their 400 miles race around Cape Horn on their 6 meter Nacra 20-Beach-Catamaran in Ushuaia, the most southern harbour of Argentina. In addition to wind and waves, the cold with temperatures around the freezing point was the major challenge. This handout picture released by SK Communication (Antoine Beysens) shows Swiss skipper Yvan Bourgnon (L) and French Sébastien Roubinet leaving Ushuaïa, southern Argentina aboard Terrésens sport catamaran to sail for a three days raid around the Cape Horn on January 17, 2012. Costa Concordia Italian cruise ship sinking: Can it be salvaged? 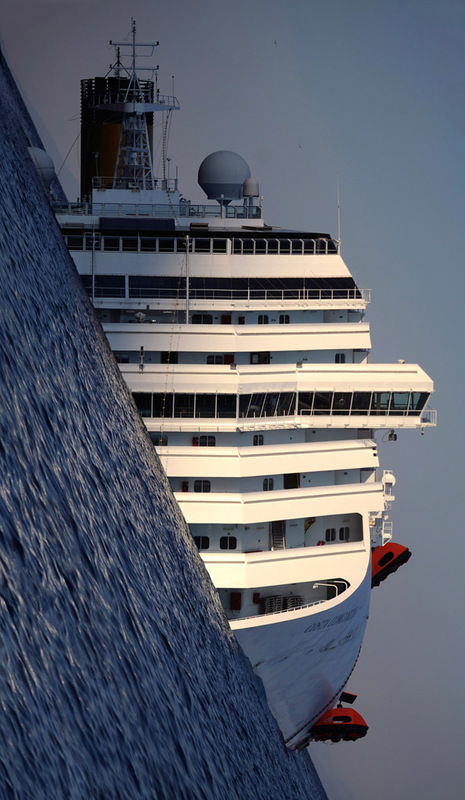 The National Post‘s graphics team takes a look at whether the Costa Concordia can be salvaged. As nautical engineers study the wreckage of the Costa Concordia to see if it can be salvaged, they also have to consider the possibility such a project could go create an ecological nightmare should the ship slip further down the rocks. Divers searching the capsized cruise liner suspended work on Wednesday after the ship shifted slightly, but officials said they are hoping to resume as soon as possible. The search continued overnight on sections above the water line. Until the order was given to suspend work, divers had been preparing to resume the difficult and dangerous search of partly submerged areas of the ship after entries are blasted into the ship with explosives. 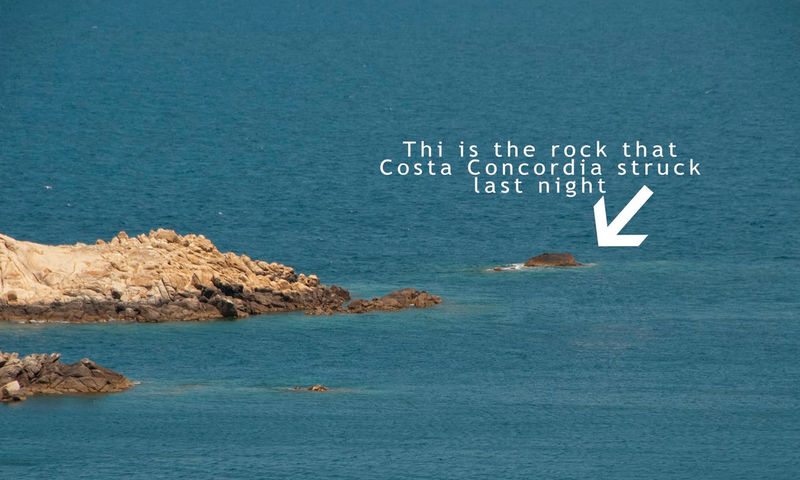 The Concordia lies on its side in some 20 metres of water but the rock shelf soon falls away into much deeper water and the wreck could slide down by as much as 130 metres if it shifts free from the rocks. LifesLittleMysteries : What will happen to the wrecked cruise chip? WashingtonPost : Salvage experts weigh Costa Concordia options: Float cruise ship intact or carve it up? BBC : Costa Concordia: What next for the stricken ship? How can you assess if a chart you are using is reliable? Mike Prince, Director of Charting, Australian Hydrographic Service, tackles this and other related issues. Mike Prince is the Director of Charting within the Australian Hydrographic Service. He is a hydrographic surveyor by profession, as well as a former naval officer with experience as a Commanding Officer and Navigating Officer. He still sails when time permits. How much faith can be placed in charts? Unfortunately, the answer is quite complex — far more complex than simply saying one chart is accurate while another is not. However, having the necessary skills should be essential for any mariner venturing into unfamiliar waters. All charts, whether paper or electronic, contain data that varies in quality due to the age and accuracy of individual surveys. In general, remote areas away from shipping routes tend to be less well surveyed, and less frequently, while areas of high commercial traffic are re-surveyed frequently to very high levels of accuracy, particularly where under-keel clearances are small. It is quite accurate to consider a chart as a jigsaw of individual surveys pieced together to form a single image. This is quite apparent in the reliability diagrams, also known as source diagrams, which were used on charts until recently. In a reliability diagram, the details of each individual survey are readily apparent. Most notable are the differing dates of the various surveys over a period of almost 90 years. What is less obvious are the technological limitations of these surveys and how much confidence should be placed in them today. The level of confidence in an area shown as unsurveyed should be self-evident. However, in this example, how much trust should be placed in surveys of differing age and quality, such as those conducted in the 1890s compared to the 1970s? In 1893-94 the position of the survey ship or boat was determined by measuring angles with a sextant between large flags erected on the shore, combined with a lead-line (a marked and tagged rope with a lead weight) to measure depth beneath the ship. 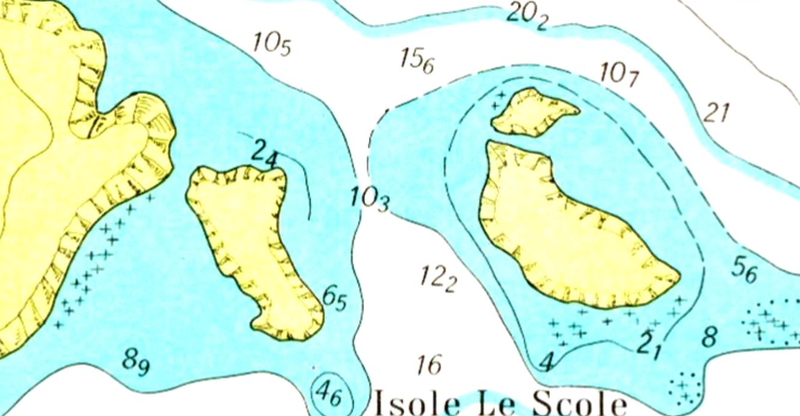 The limitations mean that positions may be out by up to 500m, even when shifted to fit a modern coastline, while it is quite possible that the lead-line may have been lowered between two shoals that consequently remained undetected. However, the observation and recording of features rising to or near the sea surface was usually very good. In contrast, those surveys dating from 1969-70 are significantly more reliable. By then, use of electronic positioning systems had improved horizontal accuracies to 50m or better, while the use of echo-sounders and sonar provided a significantly greater level of confidence that features between the individual lines of sounding were detected and did not remain unexamined. Unfortunately, the information presented in a reliability diagram requires knowledge of past and present hydrographic surveying practices — something most mariners neither have nor should need. To address this, the Australian Hydrographic Service developed a system known as “zones of confidence” that has since been adopted internationally. On each nautical chart the accuracy and reliability of the information used to compile the chart is shown on a zones of confidence (ZOC) diagram. Within official electronic navigational charts (ENCs), the same information is shown as a layer that can be switched on and off by the mariner. 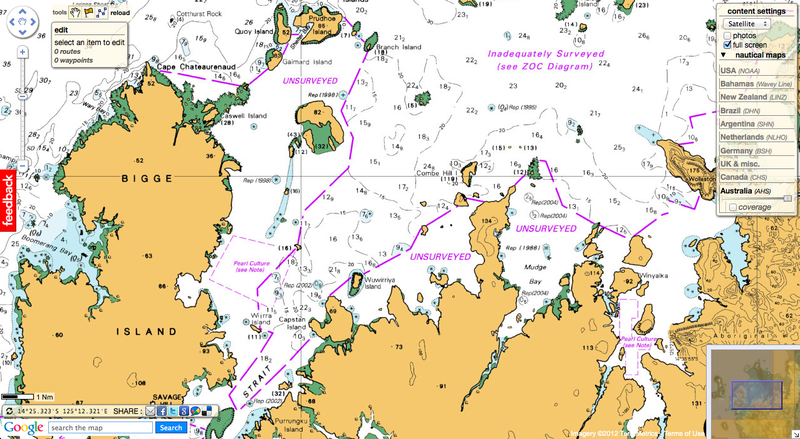 ZOC categories warn mariners which parts of the chart are based on good or poor information and which areas should be navigated with caution. The ZOC system consists of five quality categories for assessed data, with a sixth category for data which has not been assessed. The table accompanying the ZOC diagram on each chart summarises the meaning of the ZOC categories. 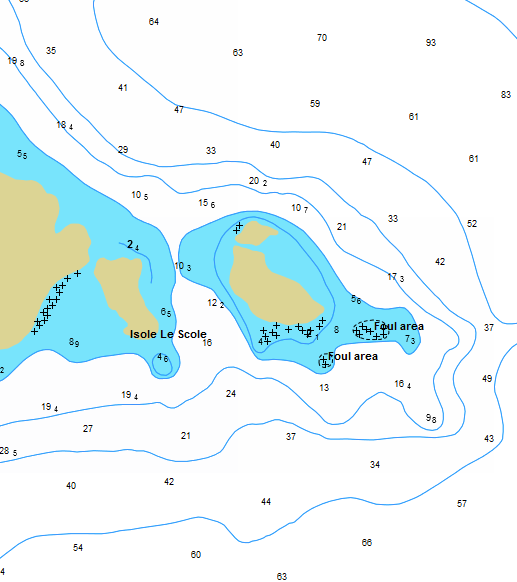 Australia (with New Zealand) is one of the few countries in the world to provide mariners with depth data-quality indicators on all of its charts. data. 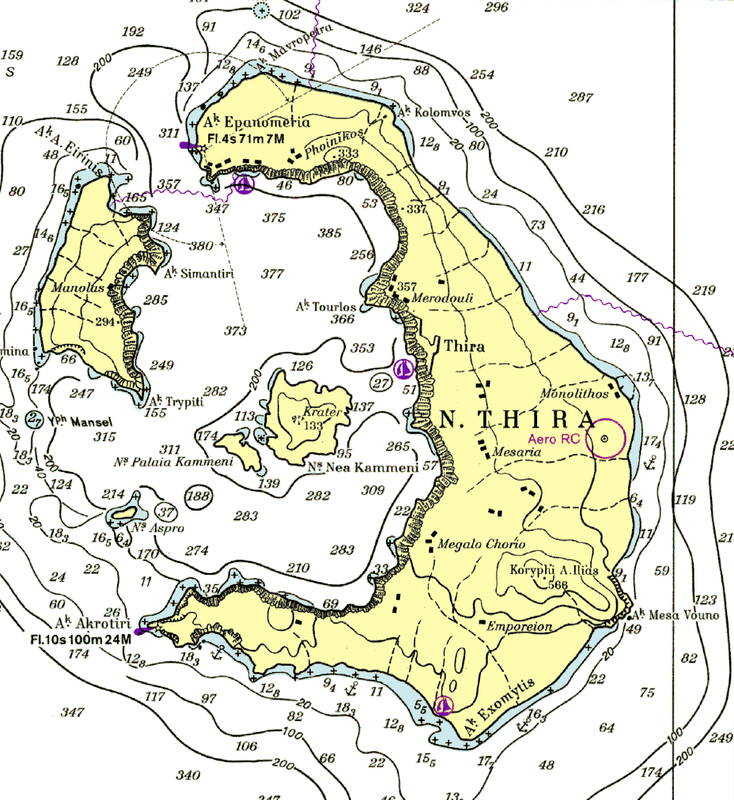 Each hydrographic survey used in the production of a nautical chart will be assessed and assigned a value from A to D, with a further provision for Un-assessed data. The assessment will take into account positional accuracy, depth accuracy, seafloor coverage and typical survey characteristics for each survey. The ZOC assessment process is based upon International Hydrographic Organisations (IHO) S57 CATZOC criteria. Position accuracy refers to the horizontal accuracy of a depth or feature. Depth accuracy refers to the vertical accuracy of individual recorded depths, of which those shown on the chart are a subset designed to best represent the sea floor as it is known or best estimated. However, the most important factor is seafloor coverage. This is the level of confidence that the hydrographic surveyor and hydrographic office has that the soundings that were collected as the survey ship steamed back and forth actually represent the remainder of the sea floor between the adjacent lines of sounding. Typically, these adjacent lines may be between 60 and 250m apart based upon the depth of water and nature of the area, occasionally extending to as close as 10m or as wide as one kilometre. In older surveys the ship measured a series of individual depths as it steamed along each line of soundings. Confidence that these separate soundings did not miss anything between the lines was typically achieved using a sonar, though the technology of the day was not always perfect. 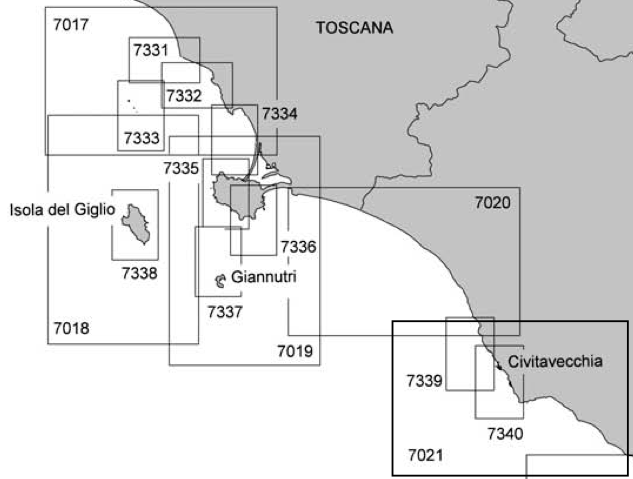 These surveys are typically assessed as ZOC C, which states that “depth anomalies may be expected”. However, modern surveys are quite different. Equipment performance has improved, allowing most surveys from the 1970s and later to be assessed as ZOC B “Uncharted features hazardous to surface navigation are not expected . . . ,” while current systems can achieve 100-percent coverage using multi-beam echosounders. The beams from these echosounders spread like a fan beneath the ship and completely sweep the seabed, both directly below the ship and to either side. Aircraft using lasers can achieve similar results. Multi-beam systems lay down thousands of soundings every minute as close as 30cm apart. This level of detail is necessary for an assessment of ZOC A1 or A2 “All significant seafloor features detected”. In these areas an object the size of a 200-litre oil drum is considered significant. On picking up a chart, an early step in planning should be a look at the zone-of-confidence diagram. Total confidence can be placed in ZOC A1 and A2 areas, and very high confidence placed in ZOC B areas. These typically show all soundings in bold italics (sloped), soundings are evenly spread and the depth contours are unbroken. 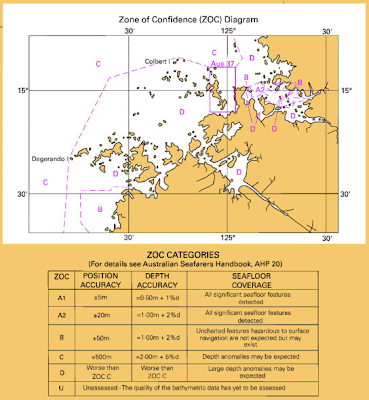 ZOC C (see diagram top left) is a broad category encompassing generally older surveys ranging from those that do not quite meet modern standards, through to colonial surveys and those not specifically conducted for navigation safety (such as a geophysical survey). Where reasonable confidence remains, the ZOC diagram will be the primary source of information to show where this lower area of confidence exists because the face of the chart will show little difference between the ZOC B and C areas. However, as confidence decreases, additional indicators are shown on the charts. These include the soundings changing from bold italics to a faint (hairline) and upright style to indicate they are “approximate”, while contours change from continuous to broken or dashed lines. In ZOC C areas, “depth anomalies may be expected”. This is particularly the case where the seabed is known to be broken in nature, such as in Montague Sound in northern WA, as well as the Bonaparte Archipelago and Kimberley area in general. Other similar areas exist elsewhere. The extract from Aus 729 again contains both ZOC B and ZOC C data, the latter highlighted by upright soundings, broken contours and, in this instance, a specific warning. The presence of several isolated pinnacles charted in the area should lead to the reasonable expectation that others are highly likely to exist — again, “depth anomalies may be expected”. 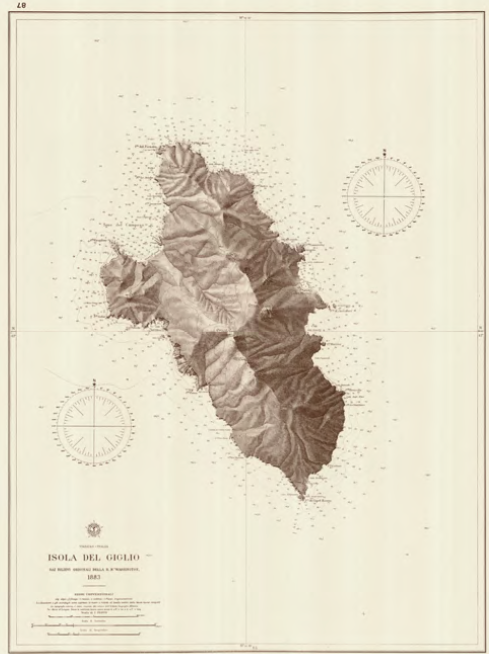 Entry into areas such as these should not be undertaken lightly — as a minimum, the sun should be high in the sky and not obscured by cloud, with a good lookout maintained while underway. Finally, ZOC D represents a very low level of confidence. 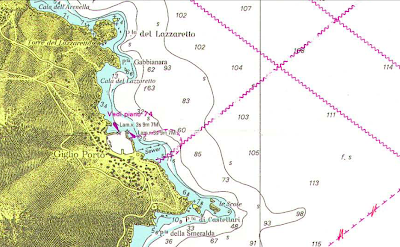 Areas such as these typically consist of sparse lines of sounding, where the track of each individual ship is still apparent. They have not been systematically surveyed. Soundings are very widely dispersed with contours only present in the very near vicinity of soundings. Unsurveyed areas are also classed as ZOC D.
In ZOC D areas “large depth anomalies may be expected”. 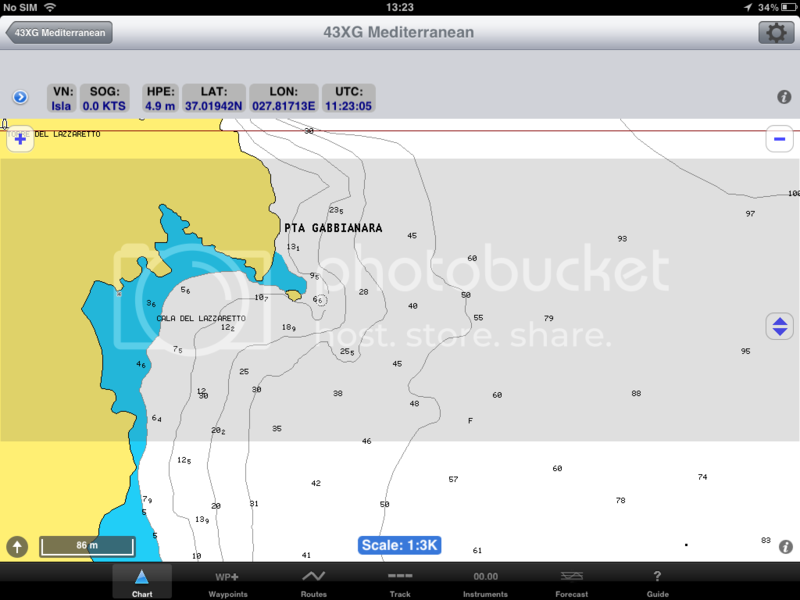 There are two basic types of electronic charts: raster and vector. 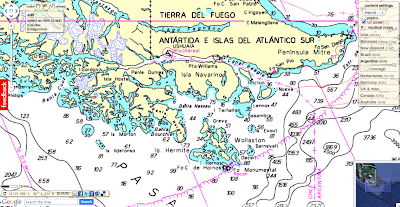 Raster nautical charts (RNCs) are facsimile copies of the paper chart. They look identical to the paper charts, have the same content, but are essentially “dumb” images. 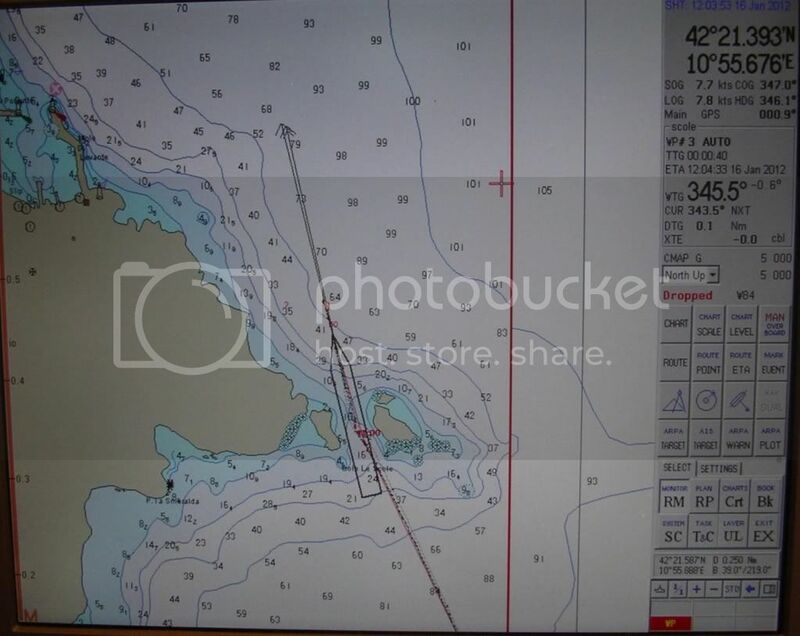 For example, an RNC chart, connected to GPS, will happily plot and display your position both at sea and as the boat goes up the ramp at the end of the day, or as you inadvertently run aground. Information in the chart can’t be interrogated or changed. 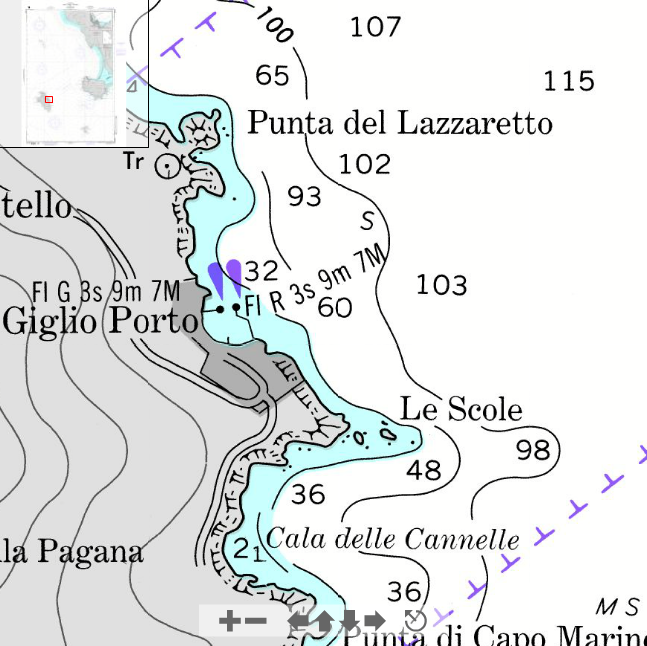 In contrast, a vector chart contains “smart” data — use it correctly and it will provide an audible warning before you enter an area considered too shallow. 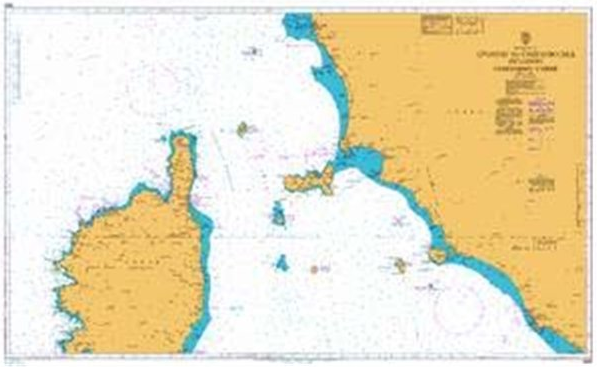 Official vector charts are published by national hydrographic offices and are known as electronic navigational charts (ENCs). The Australian Hydrographic Service publishes a raster chart series known as Seafarer RNC. These display ZOC information, including the ZOC diagram, in exactly the same manner as the paper chart. In contrast, the official ENCs published by the Australian Hydrographic Service have the same or greater content as the paper charts, including ZOCs, but look a little different. They adhere to a series of international standards frequently (but inaccurately) referred to as S-57. While there is a base level of information always displayed, many of the other features exist on separate layers that can be switched on and off. Why, for example, does a mariner need to know how often a light buoy flashes during the day? They don’t, so the option exists to turn this information off until needed. Similarly, zones of confidence exist as a separate layer that can be viewed when planning a route then switched off until needed again. 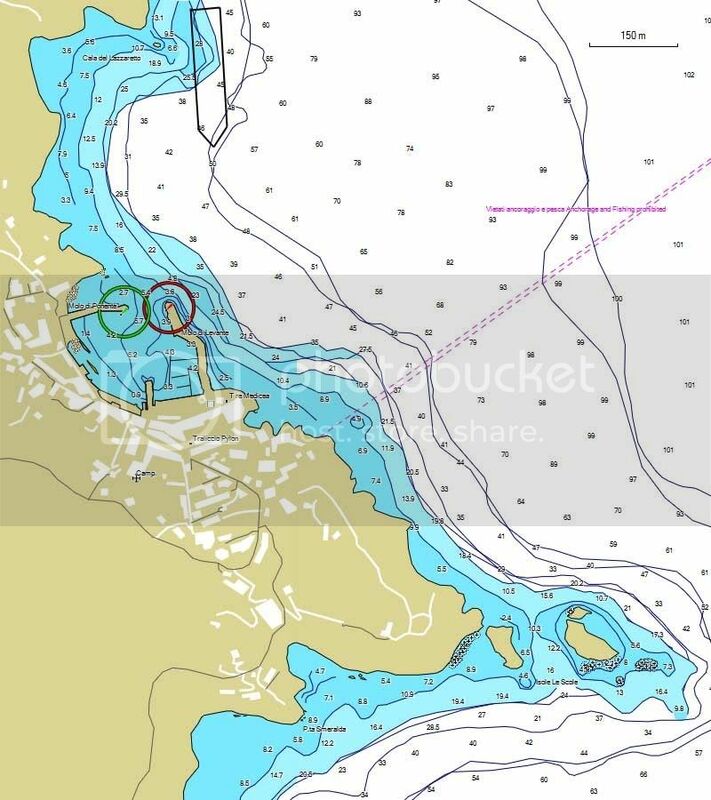 Mariners don’t need to search the face of the chart to find the ZOC diagram as, when switched on, the information is visible throughout the entire ENC. The various ratings are shown using a system of stars — the higher the ZOC rating, the greater the number of stars. Unlike paper charts which use both bold italic and upright hairline soundings as further confidence indicators, ENCs use only upright characters. Instead, those “approximate” soundings shown as upright hairline characters on the paper chart are shown circled on the ENC. This is the international method for showing approximate soundings in ENCs. 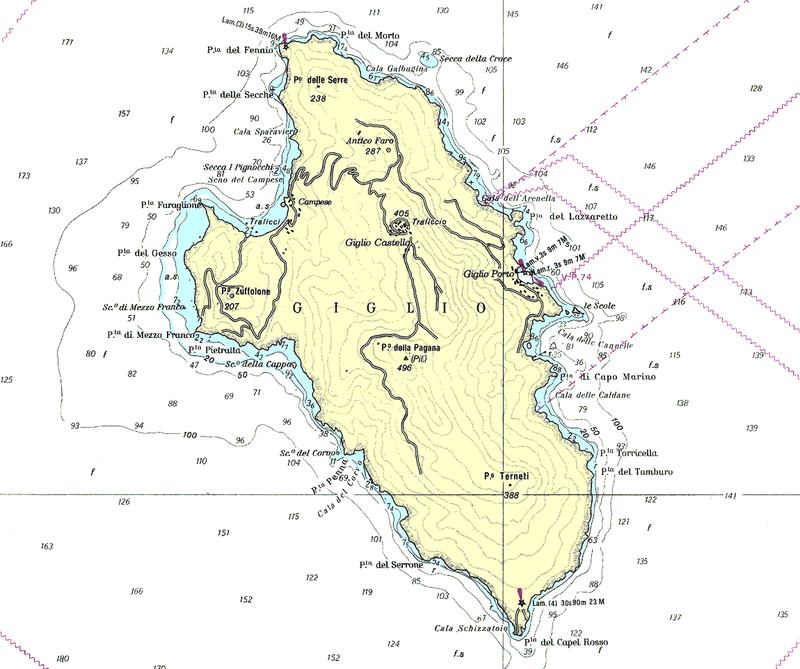 However, the use of continuous or broken contours has been carried over from the traditional paper charts. Additionally, every single feature and area in an ENC can also be interrogated to obtain additional information. All charts consist of a jigsaw of separate surveys which are combined to form the final chart. These surveys vary in age and quality, particularly due to changes in technology. However, one fundamental truth remains — a hydrographic surveyor can typically only physically see a very small percentage of their survey area — the parts which rise above the sea surface; for the remainder they must have confidence in their systems and long-standing practices to accurately and confidently chart the seabed. 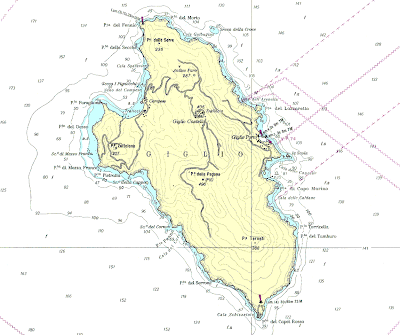 Because priority for surveying is given to the major shipping routes, an essential skill for mariners venturing into unfamiliar waters away from these routes is the ability to interpret the various quality indicators that are, or should be, on every chart. 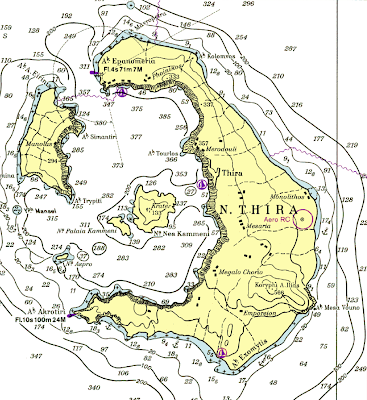 These are the best guides available to mariners, whether on commercial vessels or cruising yachts, to help them decide how much confidence should be had in past and current surveyors and the technology available to them when surveying the different areas of each and every chart. 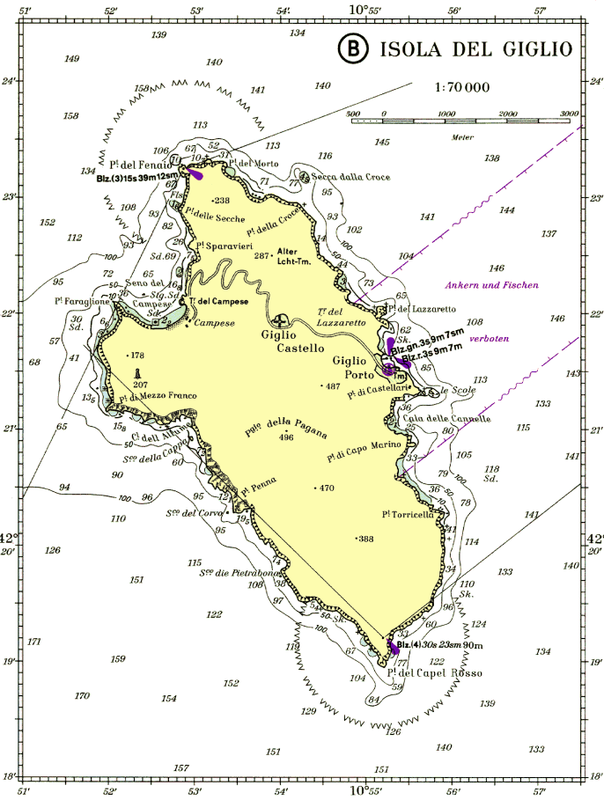 Indeed, a prudent mariner should be wary of any chart that does not show these indicators, irrespective of whether it is a traditional paper chart, a raster nautical chart or one of the new electronic navigational charts. Finally, if in doubt, post a lookout, make your approach in daylight and good conditions, or go somewhere else — there is no such thing as a good grounding. 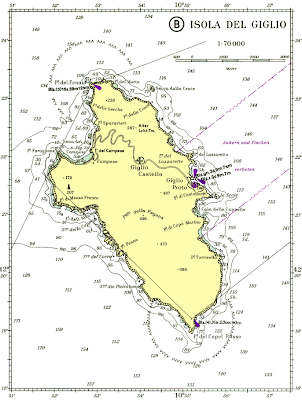 Regarding the "Costa Concordia" (see posts of the previous days), I remember a very similar accident happened in 2007 (and almost everyone seems to have forgotten in just five years) to the Sea Diamond (ex-Birka Princess) near the island of Santorini in Greece : the ship struck a reef off the island and sank. In 2008, a year after Cyprus-based Louis Cruise Lines blamed a faulty map for the grounding and subsequent sinking of Sea Diamond off the island of Santorini in April 2007, new evidence has emerged to support the claim. 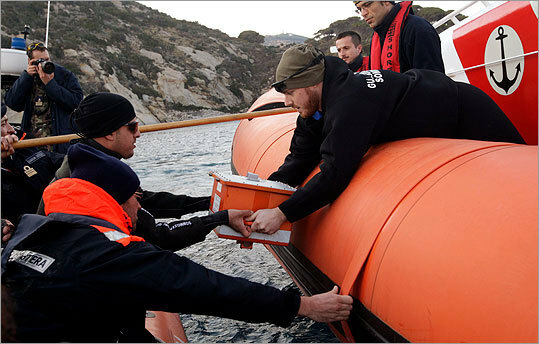 In November 2007, Louis blamed "erroneous mapping information" as the cause of the accident after commissioning a hydrographic survey from Greece's AKTI Engineering. The survey revealed that the reef Sea Diamond hit -- causing it take on water and eventually sink -- was both further from shore and larger than estimated on an official undersea map from the Hydrographic Office of the Hellenic Navy. 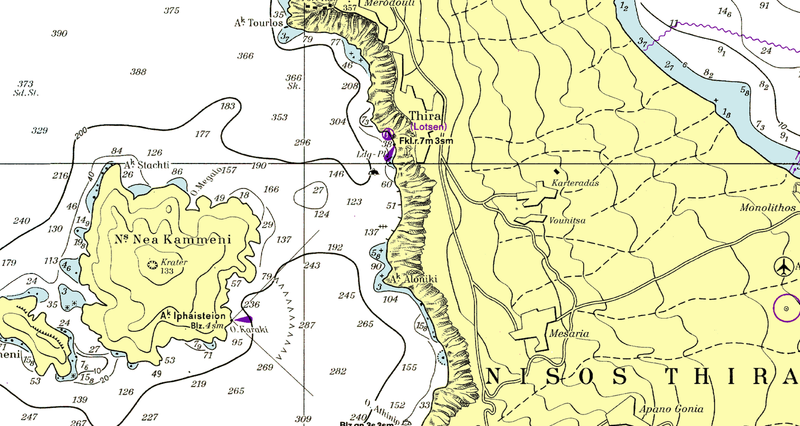 The Navy initially rejected claims that the map was inaccurate, and it was widely believed that finding the Navy was at fault would prove difficult. 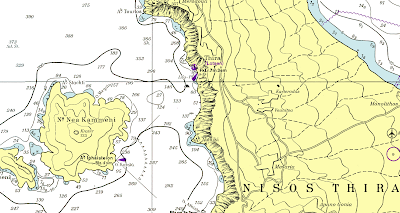 However, a new hydrographic survey carried out by the Hydrographic Office of the Hellenic Navy -- the official government authority for conducting hydrographic surveys in Greek waters and issuing nautical charts -- has now confirmed the findings of AKTI. 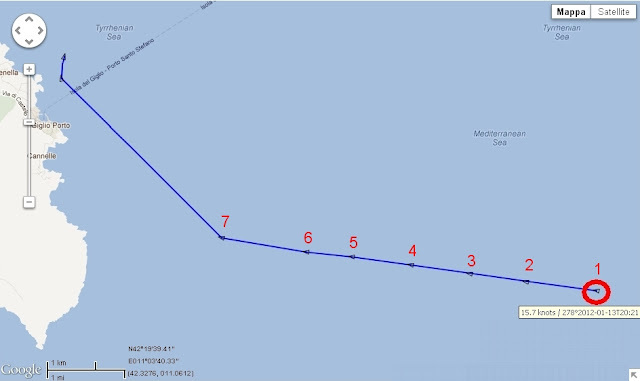 According to an official statement from the cruise line, the reef in question is actually located 131 meters from the coastline, instead of only 57 meters as was marked on the official map with which all ships were equipped (Hellenic Hydrographic Service nautical chart no. 423/8 Thira - Athinios Harbours (Thira Island) 1/5,000 published in 1989). Also, the official map indicated the depth at the point of impact was 18 to 22 meters; surveys have now shown that it is between 3.5 and 5 meters. 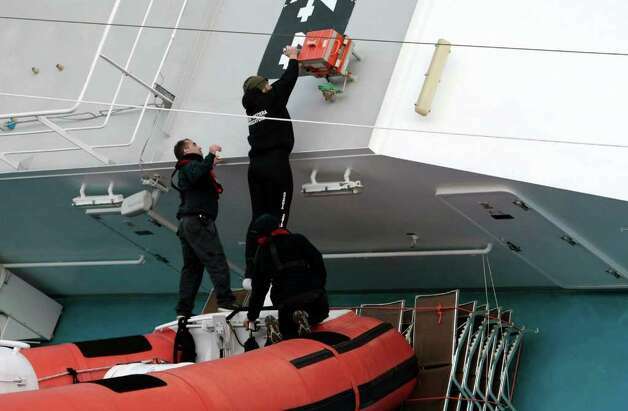 This was a major turn of events, as the development could vindicate the captain and five officers who face negligence charges in connection with the sinking and, if convicted, a maximum sentence of five years. However, it is important to note that a trial had not been set pending the final outcome of investigations -- including new mapping of the area. Louis Cruise Lines spokesperson Michael Maratheftis told that currently "there are no proceedings against the ship owner and ship manager of MV Sea Diamond ... no doubt the judicial authorities will wish to seriously consider this highly important new evidence before deciding on whether or not to continue with criminal proceedings against the [captain] and any other parties." Greece's Merchant Marine Ministry also fined parent company Louis Group and Greek captain Yiannis Marinos a total of 1.17 million euros ($1.57 million) for environmental pollution two months after Sea Diamond sank. Cruise Critic's Greece-based correspondent Joyce Gleeson-Adamidis said that the findings were addressed rather quietly in the news, with the global credit crunch dominating local papers, but not among mariners whose reputations were on the line. "Naturally, proving that the maps were wrong put the fault on the Navy," Gleeson-Adamidis told. "The ship had moved further toward land to give room for another passing vessel and the maps showed the water was deeper than it actually was. "Orders have been given to update [the maps] and that is now what officials are in the process of doing in order to be ready for the tourist season next spring." Louis initially cited human error as the probable cause of the accident before shifting focus to potentially faulty navigational maps. But cruise line insists Friday’s deviation from route was unauthorised. 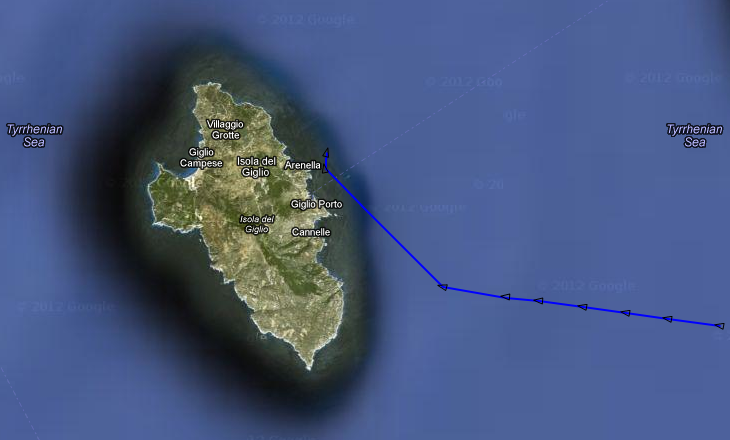 EXCLUSIVE analysis of Lloyd’s List Intelligence tracking data shows that Costa Concordia sailed within 230 m of the coast of Giglio Island on a previous voyage, slightly closer to the shore than where it subsequently hit rocks on Friday. 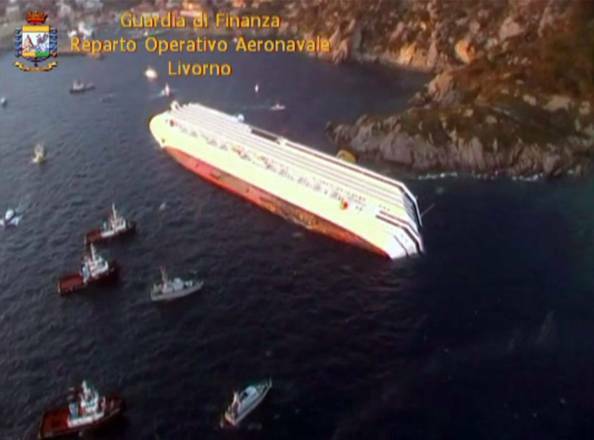 The cruiseship, which capsized off the Italian coast, had previously changed course to get closer to Giglio on the night of August 14 last year — for La Notte di San Lorenzo, the night of the shooting stars, owners Costa Cruises have said. Speaking at a news conference on Monday, the company’s chief executive officer, Pier Luigi Foschi, stressed that the decision was taken under the authorisation of the local martime authority and the permission of Costa, after the route was reviewed. He also claimed that the vessel was never closer than 500 metres from the coast at any pont in the voyage. 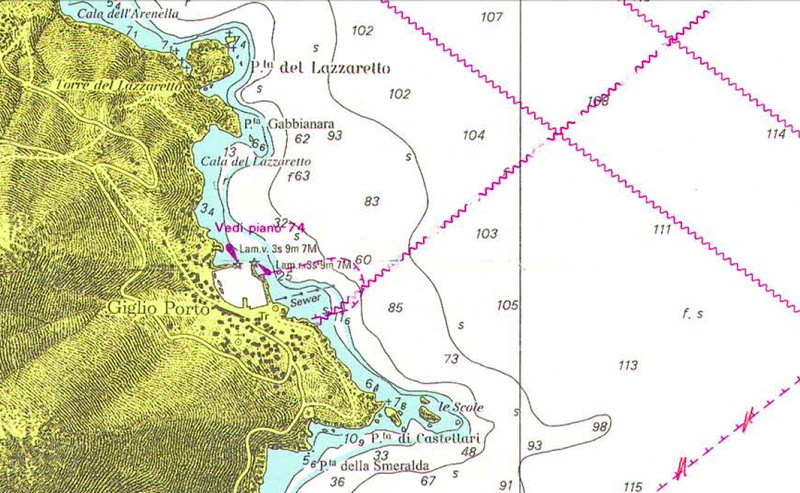 “As can be seen in this picture are the two AIS signal recorded immediately before and after a rocky area. This [new information has been interpolated by using the accident rate [speed of ship as revealed by AIS] , route, bow direction, the radius of rotation and by evaluating the effects of wind [prior to the collision]. to run parallel the coast. 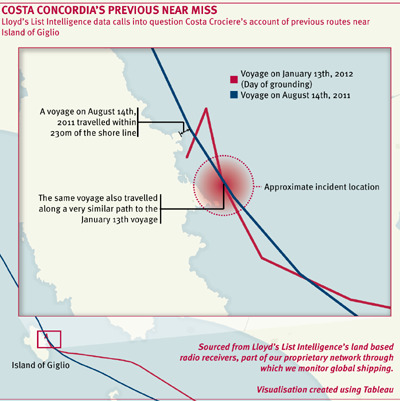 The route taken on January 13, however, was described by Costa Cruises as a deviation from the pre-planned route to make a manoeuvre that was “unauthorised, unapproved and unknown to Costa”. 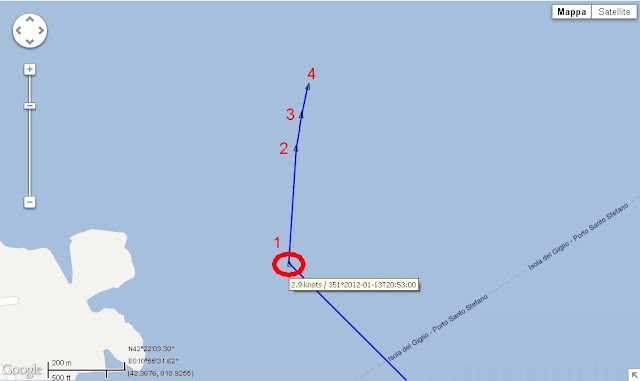 Both routes passed within a few hundred metres of each other and the tracking data, obtained through Lloyd’s List Intelligence proprietary land based AIS receivers, proves that the vessel would have been less than 200 m away from the point of collision when it took the previously authorised route. 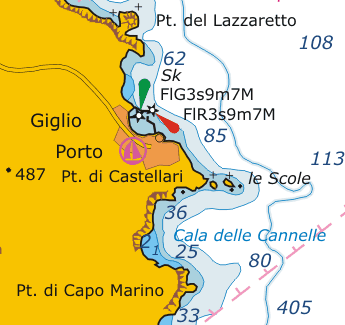 The route also took the vessel far closer than the 500 metres claimed by Costa Crociere. Meanwhile, the UK Hydrographic Office has issued a statement, declining to comment on whether Costa Concordia was using one of its charts. 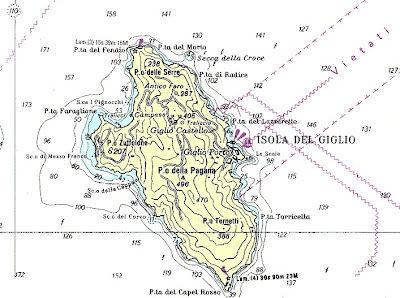 However, UKHO has confirmed that Italian charts of the area around Giglio are available on a larger scale than the 1:300,000 charts it issues. Although this might seem to be a technical matter, the master of the vessel, who is under investigation for suspected manslaughter, has blamed the casualty on the cruiseship hitting an uncharted rock. This could make charts critical to the case for the defense, should the master face a criminal prosecution. This picture released on Wednesday, January 18, 2012 by the Italian Space Agency (A.S.I.) was taken on Saturday, January 14, 2012, about nine hours after the luxury cruise ship Costa Concordia ran aground off the island of Isola del Giglio, Italy. 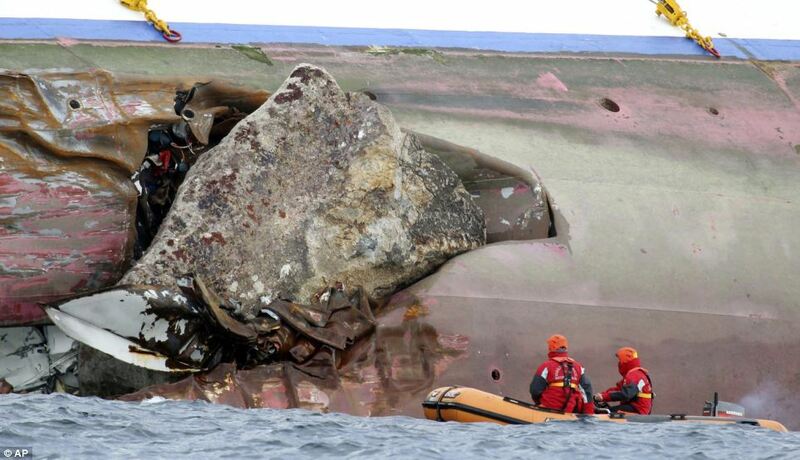 It shows the hulk of the ship (bright spot, bottom center) surrounded by rescuers and investigators' boats. Satellites are being used to monitor the area while authorities are preparing to remove the fuel from inside the vessel. 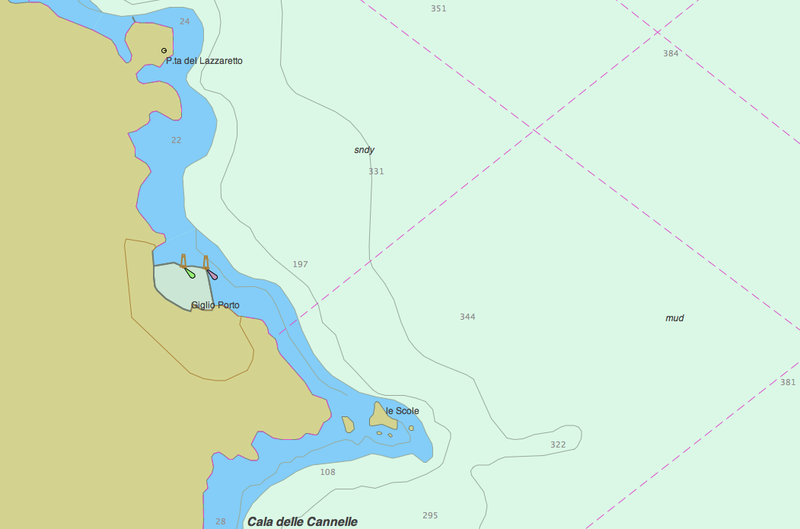 No rock is shown on the UKHO chart at the position in which Costa Concordia sank. 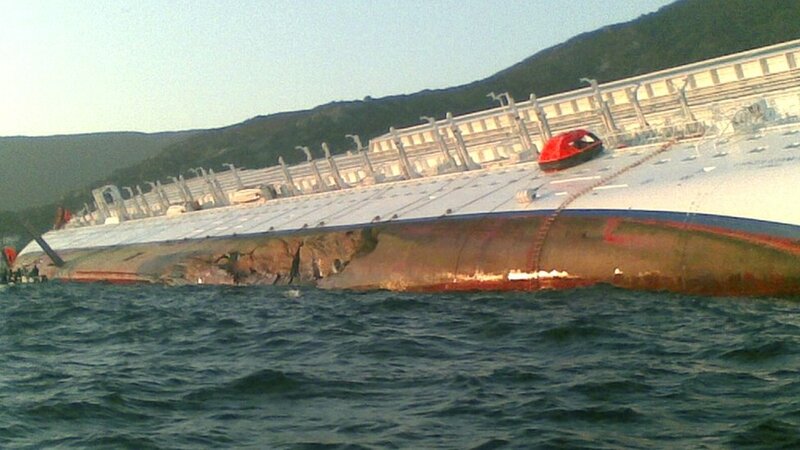 The UKHO said: “This is a regrettable incident where life was lost and a full investigation will be undertaken by the Italian maritime authorities. A report will be published following that investigation. “The UKHO expects that the report will contain information about the chart or charts used by the vessel at the time of the incident, and also expects the report to describe what features were present on the charts being used. “The UKHO does not wish to prejudice the investigation, and so will not enter into speculation about which chart may have been in use by the vessel at the time of the incident. “The UKHO’s most detailed paper chart of the area in which the vessel grounded is Chart 1999 at a scale of 1:300 000, which is up to date for all relevant information known to the UKHO. 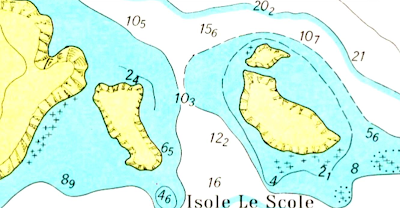 It should be noted that this small scale chart is considered to be unsuitable for close inshore navigation. BBC : Richard Meade, from the leading daily newspaper for the maritime industry, Lloyd's List, explained how the ship had deviated from its scheduled route. An Italian cruise ship, the Costa Concordia, collided with rocks off the coast of Tuscany and capsized this week, leaving many unanswered questions as to how and why the accident occurred. The Monitor spoke with admiralty and maritime lawyer David Y. Loh, who points out how an over-reliance on technology and staffing shortages have been problems in the industry. Mr. Loh is a former Lieutenant Commander in the US Navy and specializes in risk management. How reliable are navigation systems on big ships? The captain of the Costa Concordia cruise boat that ran aground off Tuscany on Friday claims the rock he hit wasn’t marked on navigational charts, reports Reuters. But maritime lawyer David Y. Loh says relying on one navigation system is never fail-proof. “[A large rock] wouldn’t show up if the [electronic] navigation system was turned off,” Mr. Loh says. Some navigation systems will have an alarm built in that will go off when it is close to hazards, Loh says. When a boat is leaving port and close to land the alarm may go off incessantly. “If you’re close to land you might turn [the alarm] off to prevent that,” he says. Steering a large vessel like the Costa Concordia cruise boat should never rely solely on electronic navigation systems, Loh says. “I don’t know why they were so close and whether or not [the ship] was in a sea lane,” says Loh, but if they intended to take that route, procedure would have likely called for consulting with a local pilot familiar with the coastal terrain. Is reliance on technology overriding common sense in navigation? “Yes, I think that’s always an issue,” Mr. Loh says. This is, in large part, a tactic to keep costs down, and has been happening since the 1980s, according to Loh. It is unclear how many people were on the command deck, or bridge, when the recent cruise boat accident took place. “Normally the navigation system and collision avoidance is perceived as an aid to the normal bridge watch standard. It’s not considered a substitute for bridge watch,” Loh says. If the training and experience of bridge staff is low, the technology of navigation systems may be used as a crutch or relied on too heavily. “The standard throughout the world is that the navigation system is only an aid to a fully qualified bridge watch standard,” Loh says. Investigators are working to establish exactly what went wrong and how far human error was to blame after the Costa Concordia's hull was torn open on Friday. A new map drawn up by maritime experts has plotted the exact course of the ship and shows that it did deviate from its normal course. The BBC's Richard Westcott investigates whether the design of big cruise ships is flawed. In such high profile cases, can captains get a fair trial? The cruise ship captain was arrested on Saturday and charged with manslaughter, according to Reuters. Given ongoing international media attention many question whether or not Captain Francesco Schettino has a chance at a fair trial. A front page editorial in Italy’s Corriere della Sera read, “Italy owes the world, international public opinion, the families of those who lost their lives, those who were injured and those who fortunately remained unhurt, a convincing explanation and the toughest possible sanctions against those responsible for this tragedy,” reports Reuters. “I don’t think he’s going to get a fair trial, frankly,” says Mr. Loh, who contends he doesn’t believe a captain should be brought to criminal trial in a case like this at all. “It’s unfair to criminalize negligent behavior…. I think he can be held responsible, but there’s a difference between criminal and civil responsibility,” he says. “It’s a question of mens rea," a Latin phrase meaning a guilty mind, says Loh. “Knowing it to be wrong and doing it anyway is the nature of criminal behavior … but is there any evidence the captain knew what he was doing was wrong?" How do you view the details emerging about the evacuation? When a collision or grounding takes place, the captain must take many pieces of information into consideration before a full understanding of the circumstances can be reached, says Mr. Loh. “Just because you run aground doesn’t mean the vessel will tip over,” Mr. Loh says. “How bad the hit was, how much water is coming aboard, …is the boat listing immediately,” all need to be accurately evaluated. “That may take some time,” he says, and can lead back to the question of how many people are on duty." “If you have a lot of look-outs on the bridge, you can send someone to see what happened, guage the level of seriousness, and respond more quickly,” says Mr. Loh. Furthermore, the captain does not gather all of the pertinent information of a collision on his own. The Chief Engineer evaluates whether or not a vessel will list, or tip over. The Chief Mate typically aids in evaluating the stability of a vessel and measuring fuel, cargo, and people. He will assist in figuring out how stable the boat is taking those numbers into consideration, says Mr. Loh. Regardless, the crew "could have called Mayday earlier," says Loh. 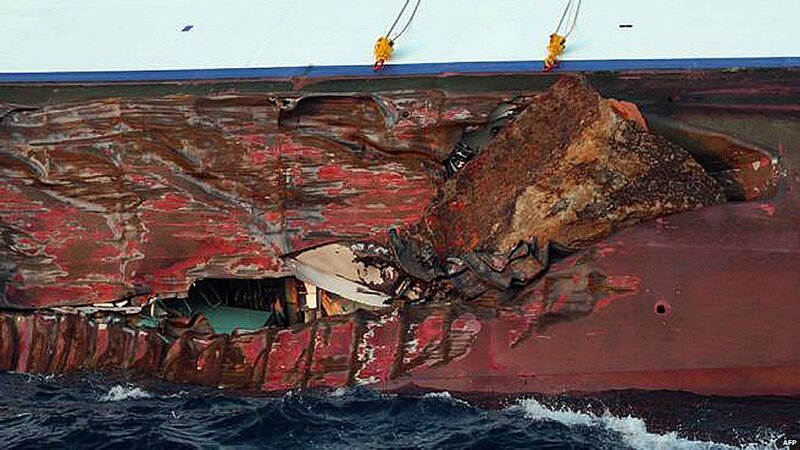 What are some lessons learned from recent ship disasters? 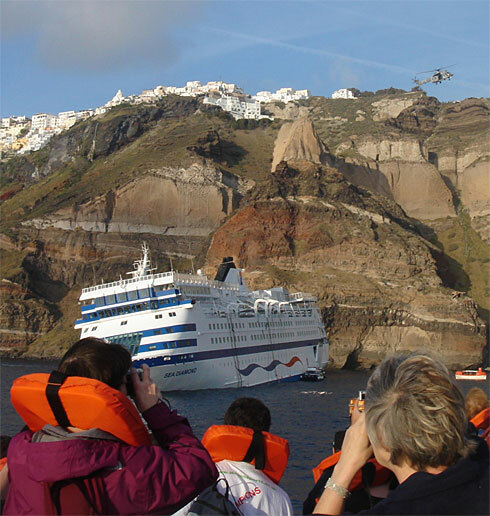 In 2007 another cruise ship ran aground off Santorini Island in the Greek isles. The vessel went close to the island’s picturesque cliffs to give the passengers a good view, but struck rocks and sank. “Shoulda, coulda, woulda,” says Mr. Loh. “You go close but you don’t go too close." Stopping a boat or quickly changing course to avoid an immediate collision threat is not a realistic maneuver for most cruise boats, says Mr. Loh. “In order for you to avoid [a collision] requires a lot of prior planning to figure out where you are at any particular time,” Loh says. “If you’re really close [to land] you have to be in a position that no matter how much momentum you have at that time the forces of inertia could not possibly put you in a position to rub up against a large rock." “Which means you have to be fairly far away to avoid [collision],” he says citing a full boat length, at least, from any known hazard." CNN : After sinking, some wonder: Is cruising safe? NewScientist : How stable are cruise ships like the Costa Concordia? that the reef had not appeared on his nautical charts and had not been picked up by the ship's navigation systems. 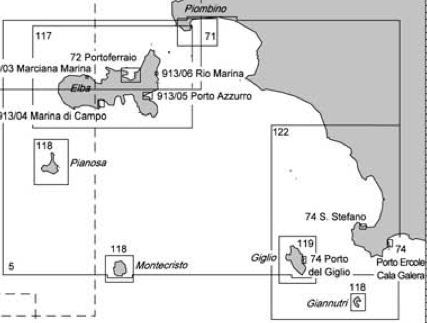 The Costa Concordia's captain claims that the rocks his 114,500-tonne ship hit off the Italian coast were not marked on the map, and that he had had to act quickly under pressure to ensure the safety of the passengers. The 52-year-old Master is under arrest and accused of multiple manslaughter, causing a shipwreck and abandoning ship, according to Italian police. In an interview with Italian television, the captain defended his reaction after the Costa Concordia hit the submerged rocks. "In such a particular moment you need decision-making and to understand with lucidity what the best alternative is. In fact, I believe almost all the passengers have been rescued," he said. 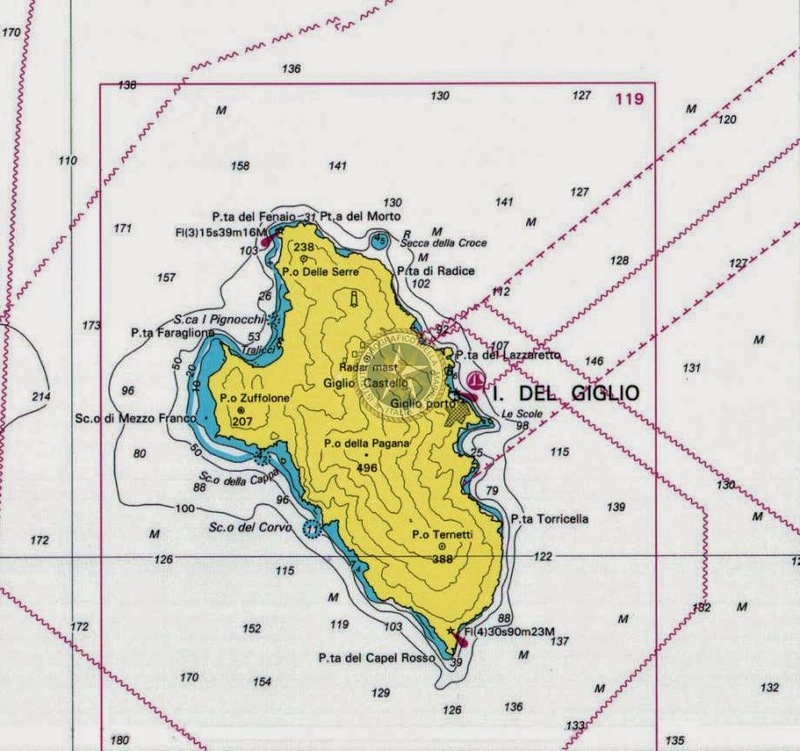 Mr Schettino said the rocks were not marked on any maritime charts of the area. 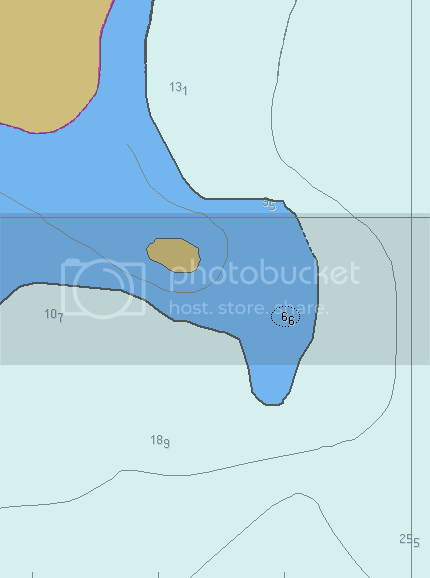 "Even though we were sailing along the coast with the tourist navigation system I firmly believe that the rocks were not detected as the ship was not heading forward but sideways as if underwater there was this rock projection". 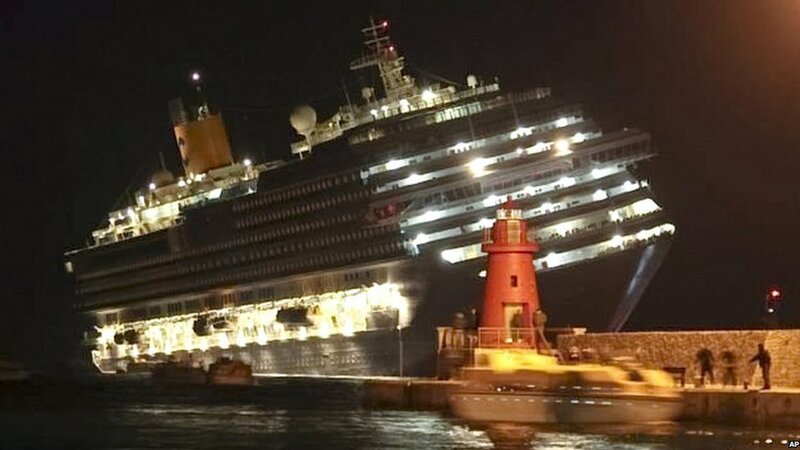 Mr Schettino denied changing the course of the ship. He said the underwater rocks the cruise liner hit were not detected by the vessel’s multi-million-pound navigation system. “The area was safe, the water was deep enough,” he said. “We struck a stretch of rock that was not marked on the charts. “As faras I am concerned, we were in perfectly navigable waters. We were moving with a tourist navigation system, and as you can see by the rip (in the ship) there was a lateral rock ­projection. 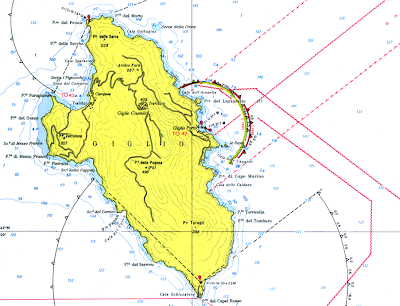 “On the nautical chart, it was marked just as water at 100-150 metres from the rocks and we were about 300 meters from the shore. Question : why was a vessel drawing 27ft (8m2) attempting to pass a ship's length from a rocky shore ? Passengers, who compared the disaster to the movie "Titanic", told of people leaping into the sea and fighting over lifejackets in panic when the ship ran aground near the island of Giglio. State prosecutor Francesco Verusio said investigations might go beyond the captain. Magistrates said Mr Schettino, whose ship was carrying 4,229 passengers and crew, abandoned the vessel before all the passengers were taken off. But the captain insisted he waited for all the passengers to be evacuated before leaving the ship. "We were the last to leave the ship," he said. ''It is unbelievable ... that this should happen to a 21st Century ship"
Italy cruise ship Costa Concordia aground near the Island of Giglio. A 291 m cruise ship with over 4-thousand people on board has grounded off Italy's north-west coast. At least 3 bodies have been recovered, with more than a dozen others still missing. 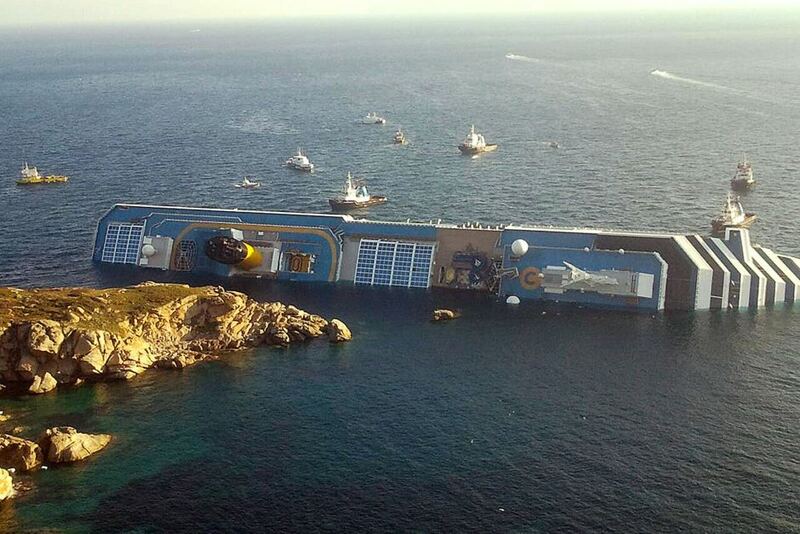 Most of those on board the Costa Concordia were evacuated from the vessel after it hit a reef near Punta del Gabbianara, late on Friday (pictures 1/2/3). Passengers reported a loud bang during dinner, and were told the ship had stopped because of electrical problems. The ship starts to list. The captain steers a course for shallow water, lowering anchors as he does so. 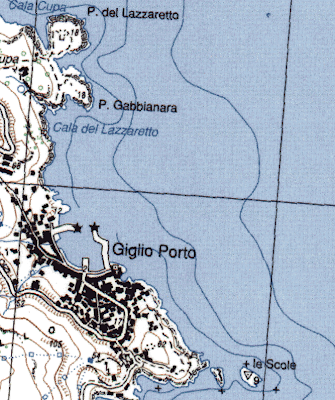 The vessel moves beyond the entrance to the port of Giglio and starts a turn of 180 degrees. (explaining why the grounded ship has the bow towards Giglio harbour (at South). en route to its first port of call, Savona, in north-western Italy. Three people are confirmed dead after a cruise ship carrying more than 4,000 people ran aground off Italy. said the Costa Concordia had been sailing on its regular course when it struck a submerged rock. There were scenes of panic as the Costa Concordia hit a sandbar on Friday evening near the island of Giglio and listed about 20 degrees. People reached land by lifeboats but some swam ashore. Rescue teams have been going from cabin to cabin, searching for survivors. said the rock was not marked on any maritime charts of the area. Schettino said that the ship had struck rocks "which were not indicated on maps". He denied allegations that he was sailing too close to the coast. "We were 300 metres from the rocks and that outcrop should not have been there," he said. with the underwater extension of the shore rather than with an isolated danger. Italians, Germans, French and British were among the 3,200 passengers. There were also 1,000 crew on board. Helicopters evacuated the last 50 people on the deck who were in a "worsening" situation. Three people were confirmed dead, Italian coast guard officials said on Saturday morning - fewer than the six or eight deaths reported by Italian media earlier. 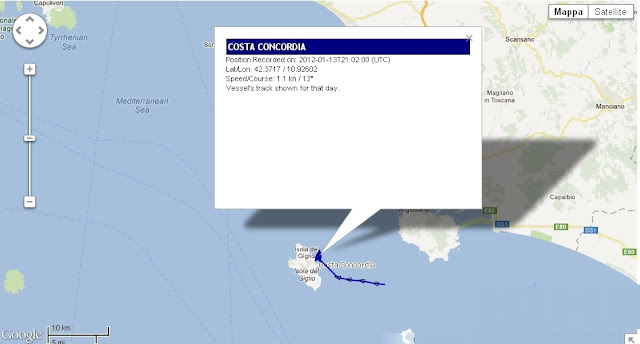 The Costa Concordia had sailed earlier on Friday from Civitavecchia port near Rome for a Mediterranean cruise, due to dock in Marseille after calling at ports in Sicily, Sardinia and Spain. Some "tens" of British passengers are believed to have been on board, said the UK Foreign Office, which is sending a team to the scene. Some passengers told the Associated Press the crew had failed to give instructions on how to evacuate the ship. An evacuation drill was scheduled for Saturday afternoon. "It was so unorganised, our evacuation drill was scheduled for 17:00 (16:00 GMT)," Melissa Goduti, 28, from the US told AP. "We had joked what if something had happened today." Passengers were eating dinner on Friday evening, when they heard a loud bang, and were told that the ship had suffered electrical problems, one passenger told Italy's Ansa news agency. "We were having supper when the lights suddenly went out, we heard a boom and a groaning noise, and all the cutlery fell on the floor," said Luciano Castro. Passenger Mara Parmegiani told Italian media there were "scenes of panic". "We were very scared and freezing because it happened while we were at dinner so everyone was in evening wear. We definitely didn't have time to get anything else. They gave us blankets but there weren't enough," she said. The 290-metre (950 ft) vessel ran aground, starting taking in water and listing by 20 degrees, the local coast guard said. 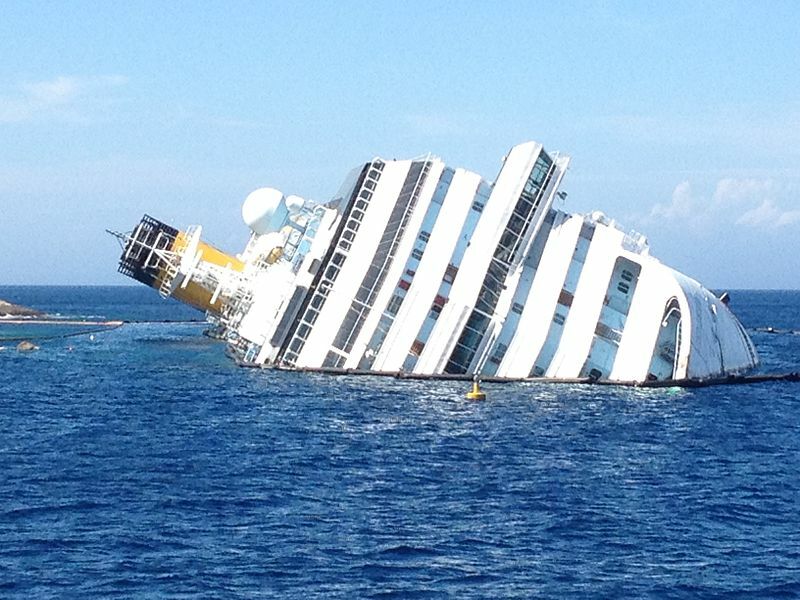 Orders were given to abandon ship, Deodato Ordona, a cabin steward on the Costa Concordia, told the BBC. "We announced a general emergency and took passengers to muster stations," he said. "But it is hard to launch the lifeboats, so they moved to the right side of the ship, and they could launch." Elderly passengers were crying, said Mr Ordona, adding that he and some others jumped into the sea and swam roughly 400 metres to reach land. Rescued passengers were accommodated in hotels, schools and a church on Giglio, a resort island 25km (18 miles) off Italy's western coast. 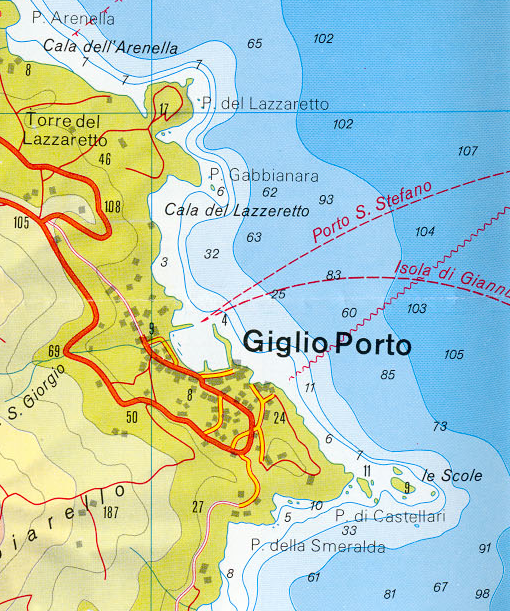 Most have now been moved to the mainland, Elizabeth Nanni from Giglio's tourist information service told the BBC. "Usually there are 700 people on the island at this time of year, so receiving 4,000 and some in the middle of the night wasn't easy," she said. "Some people jumped in the sea so they had hypothermia." Searches are still going on for "possible missing people", regional official Giuseppe Linardi told the Italian broadcaster RAI. Once the search of the cabins above the waterline has been completed, scuba divers will then check the decks which were submerged by the crash. It's also possible she almost completed it past the "located rock" of the map. 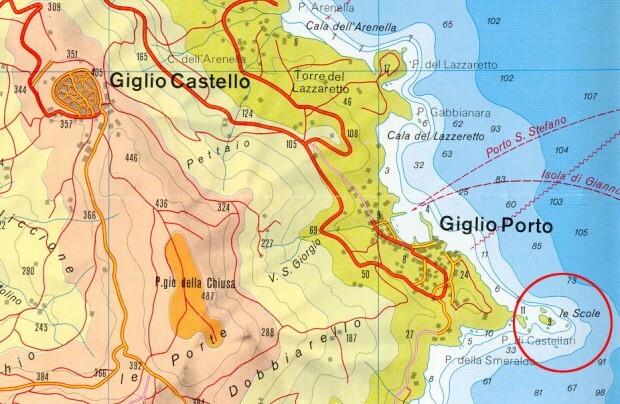 Coast guard official Francesco Paolillo, a local coast guard official, told the AFP news agency there was a 50m hole in the ship but that it was too early to say what exactly had happened. 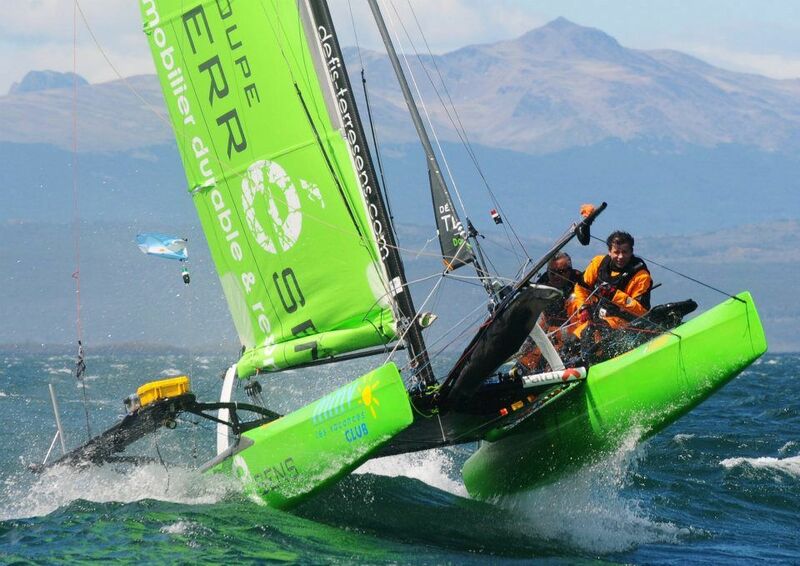 "We think this happened as a result of sailing too close to an obstacle like a reef," he said. Costa Cruises, the company which owns the ship, said it could not yet say what had caused the accident. "The gradual listing of the ship made the evacuation extremely difficult," a statement said. "The position of the ship, which is worsening, is making more difficult the last part of the evacuation. "We'd like to express our deepest gratitude to the coastguard and other emergency services, including the authorities and citizens of the island of Giglio, who did their best in saving and helping the passengers and crew." Two years ago, Costa Europa, a Costa Cruises ship crashed into a dock at the Egyptian Red Sea resort of Sharm al-Sheikh, killing three members of the crew. One thousand passengers were Italian, with 500 Germans and 160 French. CBS : Did capsized cruise ship meet safety guidelines? 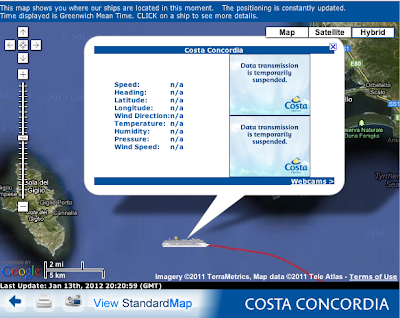 SeaNews : Costa Concordia: A major navigational error, or what?